A long overdue awareness of the punishing nature of our beauty standards has finally arrived; but its accompanying narrative that women don’t like their appearance pushes other experiences beauty out of the conversation. Join us this Thursday March 22 at 5 pm in Scaife 125 for an exploration of the many facets of beauty through science, philosophy, and the lived experience of women. 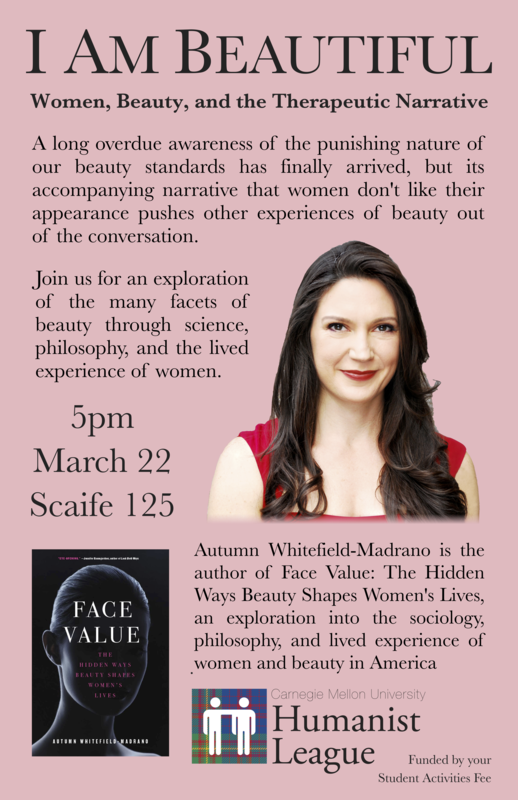 Autumn Whitefield-Madrano is the author of Face Value: The Hidden Ways Beauty Shapes Women’s Lives, an exploration into the sociology, philosophy, and lived experience of women and beauty in America.